Picture taken by my BB. Pictures below are taken by my new camera, the Panasonic Lumix G3! 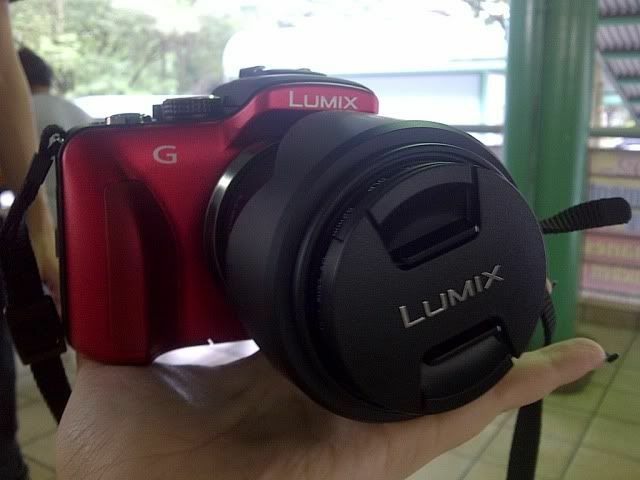 I got it 2+ weeks ago and I'm still quite a noob at using it... so don't judge this camera by the quality of my pictures below LOL. And you have to note that personally I prefer brighter, high exposure pictures rather than those with high contrast and vibrant colours! But yeah I'm still figuring out the settings so... not really achieving the desired shots yet *loser face*. I originally thought it was Sophie Monk the singer from that mega old girl band called Bardot, which was created via some reality show and fell apart in weeks. If you remember this, you're awesome! ^^ But anyway, no it's not her lol. 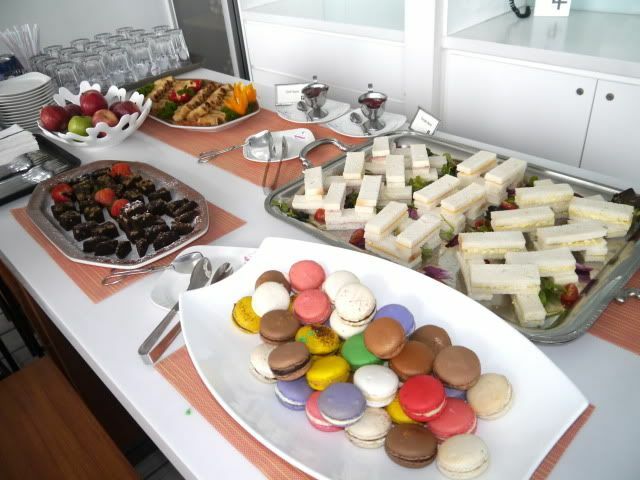 It was held at Quincy Hotel, which is located up the hill behind Mount Elizabeth Hospital at Orchard! (I know, information has zero relevance to my face filling the entire picture above). Cool glass pool in the background! Haha Eric and Xiaxue testing out the Siri function on her new iPhone 4S. Siri couldn't understand Eric's English at all hahahaha *troll face*. Makiyo! She has a very strange voice really, it's kind of nasal in this cute way. She's actually wearing a bracelet that Shuyin and Xiaxue gave her! Xiaxue personally blinged the letters MAKIYO unto a plain silver bangle. Underneath she's wearing a sequinned dress. She took off the sweater as we were leaving in preparation for her singing gig afterwards and changed into glittery gold stilettos. I guess these are small plans/details they have to think about! But when she first came down it was quite amusing because she was surrounded by a whole entourage lol. Makiyo autographin her CDs for us! Lol we were all discussing how celebs have nice signatures! She's very cute and chirpy! I mean I could understand what everyone was saying of course, and I can make simple conversation, but I felt embarrassed! The pink streaks Makiyo has in here hair! LOLOL thick-skinned... iPhone camera also want. One of the face masks! 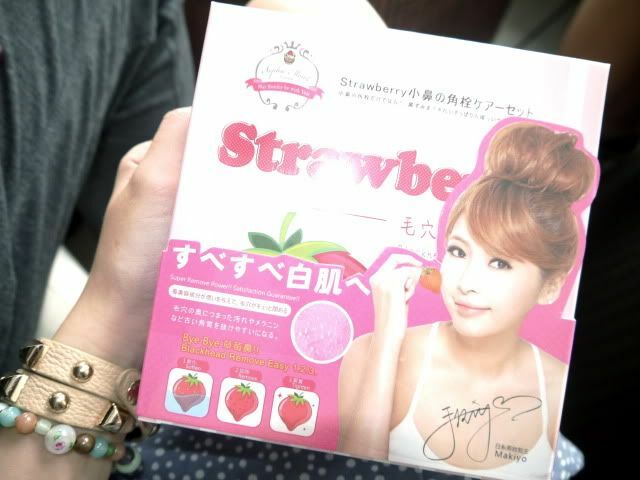 Their stuff seriously smells like strawberry. I think here she was talking about hair extensions or something. 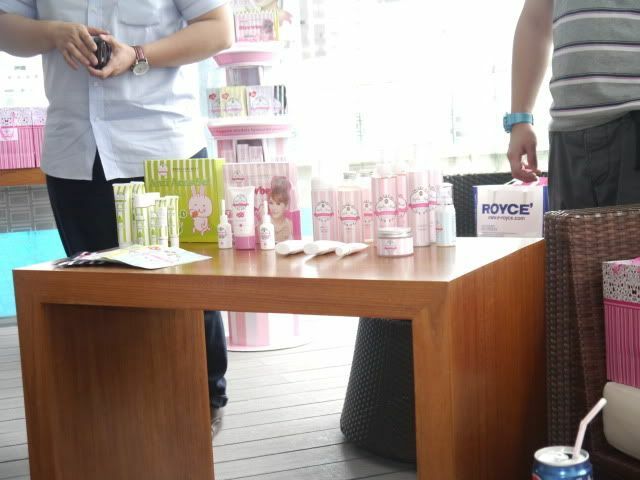 We got to bring home quite a few of the Sophie Monk products! I'm a lazy girl when it comes to skincare... I don't even use makeup remover, and do nothing but wash my face twice a day (and if I don't go out I don't even go near a sink hahahaha). These Little Twin Stars masks weren't the ones presented at the session that day, but they had spares so they gave a box to each of us! It's a tie-up between Sanrio & Sophie Monk. I tried one of the masks (it's the face sheet kind) and it's really VERY moisturizing! But I got restless and took it off early. Not used to doing this kind of thing! If you want tips, follow Makiyo's. She says that she applies the mask in the morning, whereas apparently most girls do it at night. I guess it makes sense to moisturize your face before makeup! P.S. 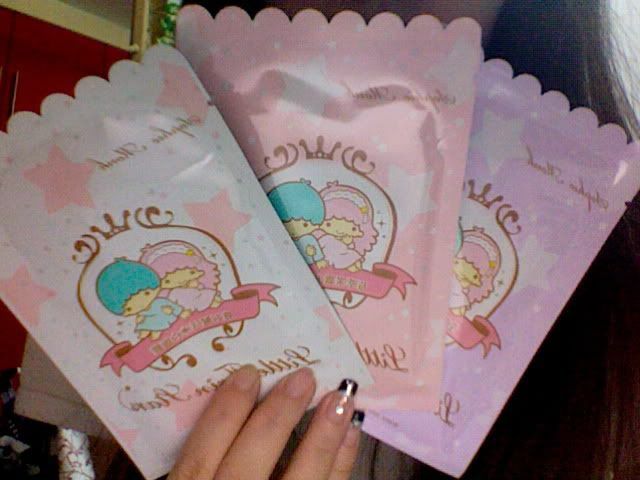 It's stated on the Little Twin Stars masks that they are not tested on animals! ♥ ♥ ♥ Not sure about the other products though. Picture of Xiaxue and I at H&M afterwards! We both got the stupid white furry hat lol. It's $14.90 if you're interested! OMG! Eric looks like TOP from Big Bang in the picture he took using iPhone with Makiyo! ROFL! Sin Yee: Haha I have much to improve on! Anonymous: Sephora Nano! Cheap (around $9+) and doesn't smudge :) It will naturally fade a bit after a long day though.